Who are your customers? It’s critical that you know who they are, if you intend to find more of them. So, it may seem an obvious question, but can you describe who your customers are? If you can’t summarise who they are easily and quickly, it might be that you would benefit from a marketing technique known as “writing personas”. Personas are written descriptions of typical customers. They describe everything about each type of person who typically buys or uses your products or services. You might have several customer personas for your business; or you might just have one. But, unless you can describe them, it is very difficult to work out how to reach them, how to influence them and, importantly, how to win more of them to become your customers in future. Writing personas is a great way to ensure you properly understand the people who buy from you and their patterns of behaviour. And the best way to start writing them is by imagining what an “average” customer is like. Picture their age, gender, education level and nationality. What languages do they speak? Do they watch television? If so, what do they watch? Do they buy a newspaper? If so, which one? Try and imagine as much detail about your typical customer. And give them a name. Then, next time you communicate, imagine you are just talking to that one person. Get the message right to that person and you’re much more likely to get it right for all your customers. And when you know who your customers are, you can target social media at them easily, accurately and effectively. 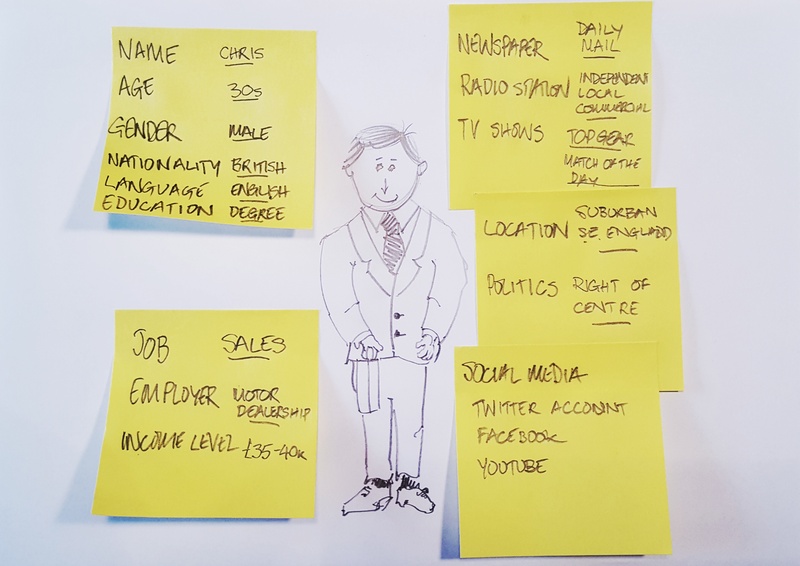 Why not let us help you write your customer personas? We can help create, write and categorise your customer personas so your social media campaigns talk directly to the types of people that will buy from you. Email us now – info@thedigitalzebra.com.